The deal struck between Philippine Airlines (PAL) and Inmarsat to upgrade the carrier’s inflight wifi connectivity to the Global Xpress (GX) solution included a significant milestone: Line-fit installation from Airbus on new deliveries. Specifically, the airline’s new A350s and A321s are expected to be delivered from Airbus with the GX kit installed according to the September 2017 release. A photo of a new A321 just out of final assembly suggests that this development milestone finally arrived. 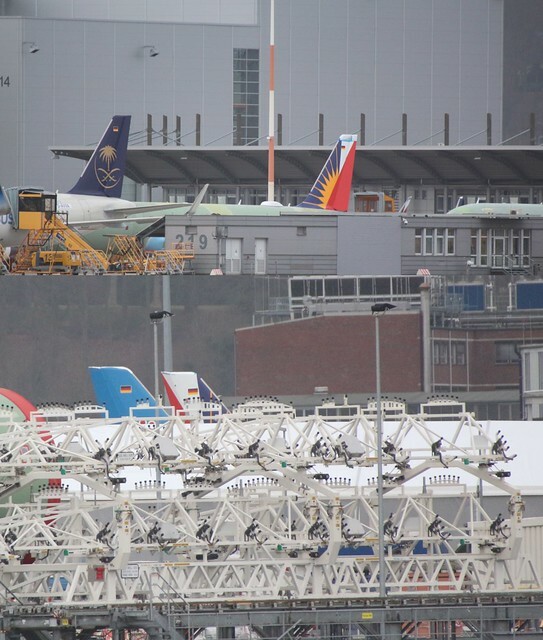 The image above shows a new A321neo, presumably MSN 8117, at Hamburg’s Finkenwerder airport, one of the Airbus final assembly line sites. And that aircraft most definitely has the radome fitted. The shift to GX for PAL opens a number of new options for its passengers and the airline operations. The carrier expects to be able to offer a 30-minute complimentary session to all passengers and cheaper rates than it was able to consider using the older, slower SwiftBroadBand solution that its legacy long-haul fleet carries. The 777s are also slated for upgrades as part of the project. PAL customers will benefit from SITAONAIR solutions including mobile connectivity, a secure online channel for inflight card transactions and crew and passenger interactions, plus integrated, connected inflight entertainment (IFE) from Zodiac Inflight Innovations. In April 2017 PAL announced their selection of SITAONAIR’s state-of-the-art CrewTab solution, co-created with the airline to digitalise PAL cabin crews’ operations. Coupled with GX connectivity, this solution’s capabilities will further optimise inflight customer service. Other recent builds from Airbus/Inmarsat customers do not show the radome installed, suggesting that this may be the first Inmarsat GX aircraft to be delivered line-fit. That’s arguably a bit of bad news for Lufthansa Technik. That organization has become very skilled at the GX install over the past couple years and continues to deliver such for a variety of customers, including a new deal for 737 implementations as well. As more aircraft come fit at the factory the retrofit work will slowly fade. At least in theory. The more likely reality is that Technik and its cohorts will have plenty of retrofit customers for the foreseeable future. And plenty of opportunities to help airlines that change their minds 5ish years down the line swap to a different solution at that time. As for the value of line-fit, there are a lot of reasons it matters for many airlines. Less down-time for the plane after delivery and validation and endorsement of the process from the aircraft manufacturer are two that stand out. Sure, Delta chose to pull back from the Gogo 2Ku install at the factory on its A350s, but that was an after-market move anyways, not a true line-fit solution. And Aeromexico appears to be placing significant value on line-fit availability of connectivity for its new 737 MAX fleet.